Lord Mayor Robert Doyle has been re-elected in a landslide victory and promises a $100 million-plus redevelopment of Queen Victoria Market. “It’s obviously a very strong mandate. I think that’s because we spelt out the policies that people wanted” he said. A priority will be to redevelop QVM. 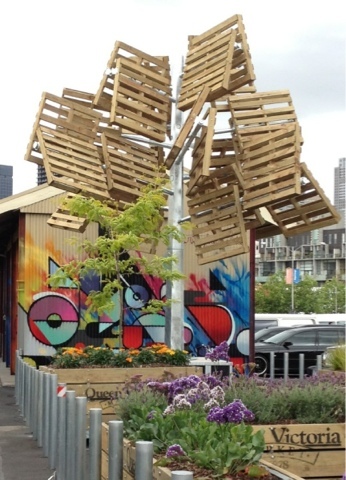 “That much-loved icon needs a major investment from the city in order to restore it to our No.1 attraction – it could be the Federation Square of that part of the city.” The project would improve car parking, landscaping, and open space, but preserve the historic sheds and meat and fish sections. Mr Doyle won a massive 41% of the primary vote in the Town Hall elections, easily out-polling main contenders Mr. Singer (15.6%) and The Greens, Alison Parkes with 14.8%. Other plans by Mr. Doyle include a Transport Museum at a re-vitalised Docklands, and the transformation of the Flinders and Elizabeth streets corner as the city's gateway. 29/10/2012 16:56:17 Election result "I think the headline is a little premature and I think you have to take into account a lot of stall holders do no support Mr Doyle. It's no time for a winning celebration." 29/10/2012 21:22:15 Lord Mayor QVM "To listen to the Lord Mayor talk about us, you may want to click on the following link. http://www.youtube.com/watch?feature=player_embedded&v=WalyxlHuoGo"
29/10/2012 2152 QVM A Winner - "I'm not sure what I'm missing but Mr. Doyle is the first Lord Mayor in a while to invite traders to talks, arrange for us to have intensive discussions with the Chairman of the Board, and propose spending $100 million on re-generating the market. So why all the negativism? I think we can justify a little optimism here." - Editor. 29/10/2012 23:26:41 Lord Mayor Statement "Rewind back to Thursday afternoon, and perhaps we begin to understand present Trader sentiment and pessimism. Add in the general mistrust, negativity, frustrations and disappointments linked to how the Market has been allowed to slide to it's present state. Admittedly it is also true that the general Trader tendency to place the blame exclusively on others with little introspection is also a contributing factor to the general attitudes expressed towards the words of the Lord Mayor. 30/10/2012 1420 via SMS -"Well The Lord Mayor of Melbourne has opened his mouth once again. Looking to spend $100 mill on QVM. So council has a figure of $100mill but have no plans. It poses the question. How do you get to the figure of $100mill without knowing what you are doing? 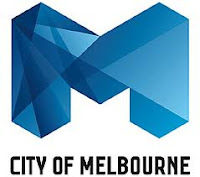 Thursday 26 October, Stall holder, QVM management, Chairman of QVM Board, Board members, and the CEO of Melbourne city council had a meeting at the Jasper hotel. At this meeting we were given nothing about the $100mill. Actually if we were mushrooms we were well nurtured at that meeting. Why only 10 min for questions? Mmmm need to wonder!!! Q: Are the council just kicking the can as they have done in the past? Q: Do the people who are making these plans know what is needed? Q: what is anyone doing to get customers effectively into the market? Q: Why is it such a secret? Q: We have a council so willing to help! But everything to do with the market takes so long? Q: Is it just a land grab? 1. Inflation up 1.4% in September quarter – keeping within RBA’s annual rate target of 2-3%. 2. Government slugs backpackers an extra $70 visa charge in blow to tourism. 3. Government’s move to monthly company tax payments branded as an accounting trick that will increase compliance costs. 4. ANZ records profit of $6.01 billion. 5. Tiger Airways fined $110,000 for failing to unsubscribe customers from marketing emails. 6. Apple makes $8.2 billion profit in one quarter. 7. California introduces laws allowing homemade food goods to be sold legally. 8. Gumtree reports second hand sales boom as consumers look for income alternatives. 9. NAB reports slow build in business confidence. 10. Roy Morgan Research reports consumer confidence increases to near pre-GFC levels. 11. Highpoint Shopping Centre opens new Fresh Food Mart and Eco Mall. 12. September credit and debit card transactions up by 6.9% on last year. 13. Online entrepreneur, Kogan, achieves 1 millionth sale. 14. NSW government plans to introduce 24 hour retail trade by Christmas. 15. Billabong reports improvement in sales. 16. Cotton On opens its 1,000th worldwide store. 17. Zara opens its 6th Australian store at Doncaster Shopping Town. 18. QVM launches self-guided heritage trail. 19. Lord Mayor Doyle slams Morgan/Elliot plan for underground car parks. 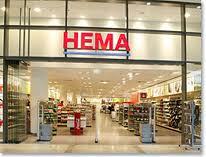 Click on this link for an entertaining website presentation from Dutch department store, Hema. Its in Dutch so there is nothing to read but just wait for the action to start. US retailers aren’t sitting around waiting for things to recover. They are active not only in sourcing and marketing their products but in ways to minimize costs and maintain maximum flexibility. After all, we are in a new era whose direction is not yet clear. Space reduction is evident in the new strategies of major Australian retailers because less space means less rent, means less overheads. In America, retailers are seeking discounts to the back quarter of their shops. If it is not prime retail space, indeed more likely to be storage, retailers argue it should be at a lesser rent. I wonder if I could argue with QVM management that the stall area occupied by my storage boxes should be at a lesser rent? Another innovation is “forced relocations” where the tenant agrees to sign for a further 12 months on condition that a smaller, more suitable, location is found for the tenant during that time. There are many ways of adapting new space options including, moving outside the main mall, using “pop-up” stores, co-tenant sub leases, and brick-to-click kiosks. Remaining profitable is the name of the game for all retailers. It is a serious challenge and we need to think outside the square if we want to survive. 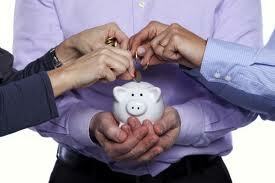 Flexible thinking by landlords and tenants would seem to be an essential ingredient. 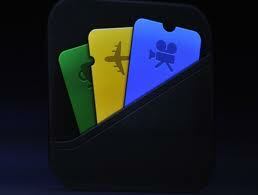 Apple’s New Passbook Feature Could Be Ground Breaking For Retailers. Apple’s latest update to its mobile phone software included a new feature called Passbook which most people have ignored but it could be a dramatic marketing tool for retailers. Passbook is an app for receiving, collating and using special offers, tickets and loyalty points. The first time I read that I almost fell asleep but then the clever article writer gave an example of how it could be used and I quickly woke up. Imagine you are walking past a coffee shop and you get a phone alert offering you a free chocolate chip cookie with your cappuccino. If I was remotely interested in a coffee I’d be tempted by the offer. The way it works is you get a barcode on your phone which can be instantly redeemed at the coffee shop register. Translate that process to almost any retail transaction, including what you sell, and the possibilities look very attractive. I’m not sure how you actually create that alert on the customer’s phone but I am going to find out. More to come. The Top 10 Passwords Used By Consumers. How did we find out the most popular passwords? The list was compiled from an analysis of the passwords dumped publicly online after two major hacking events including the recent Yahoo and Linkedin disasters. 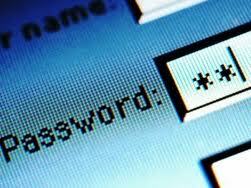 Experts recommend we change our passwords regularly. 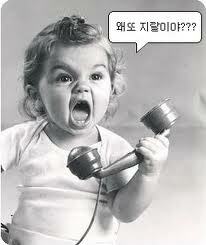 I think I’ll change mine to – help!! Most of our business involves on the spot payment but for those occasions when you need to chase customers for payment, here is some advice from an unusual source. The British Tax Office has a long list of late payers and they found the traditional approach of letters threatening interest charges, late payment fees and legal action were just not working. They adopted a new approach, pointing out the connection between taxes and the services that benefit all citizens, and the fact that 9 out of 10 taxpayers actually pay on time. Sounds basic enough but the improvement in recovering overdue debts was very impressive. A clearance rate of only 57% in one portfolio in 2008, translated to 86% in a similar portfolio in 2009 after the new letters were introduced. The dramatic improvement was put down to a psychological phenomenon that people’s behaviour is largely shaped by what those around them are doing. Conforming to group behaviour is a strong incentive. Might be worth a try next time a customer defaults. The presentation screen for this afternoons meeting with The MCC and QVM Board said it was “Reporting Back” and that was pretty much all the meeting did. 2. Facilities (Appearance and maintenance). 3. Operations & Site Management. 4. Retail Offer & Mix. A number of minor issues have been attended to already (unblocking drains, hooks in toilets) and plans are underway to improve lighting and extend short term parking around the market from 15 minutes to 30 minutes. A full examination of car parking options will be made with similar attention to trading hour options. A communication system will be set up to allow trader input. Reference was made to the diversity of the market and the importance of keeping like traders separated. MCC CEO Kathy Alexander talked about bringing tourist trams straight to the market and improving the pedestrian access around the market precinct. Assurance has been given that traders will be “Hard-wired” into the decision making process and it would appear that the TAC will be given the core advisory role that was proposed earlier this year. Those expecting a major announcement at this afternoons meeting will be disappointed although the discussion was generally positive and discussion with Board members after the meeting gave cause for some confidence that this is just the start of a long productive process that will give greater respect to the views and needs of traders. 25/10/2012 21:16:50 meeting up with Melb.City Councillor "Well we were given a nice ( I use the word""nice"" in a VERY NON-DESCRIPTIVE WAY) speech; from some one in my very humble opinion,that didn't really care what happens to us 'the traders' in the future. because they turn away 75% of enquiries.If you believe this statistic you believe in the tooth fairy! Does this Councillor really believe that if she is running on Saturday,someone in that room was going to vote 4 her?!? In my humble 32and 3/4 years in the market,I have seen many a change,but,but,to repeat ALL the information that had been given by stallholders for a period of 6 'round table' sittings with Paul and the Office, to put this cleanly!! Councillor you must think we are children in the 2nd grade or just plain simple!! 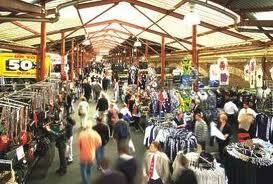 This market,QueenVictoria Market IS because of US not YOU!! 25/10/2012 22:29:41 Feedback meeting "WOW fixed a drain and put a few hooks on toilet doors, impressive stuff. Also gave the impression the stallholder selection process was good enough as well as the advertising and marketing. Yep they certainly listened, everything is fine. Those small amount of 15 min parking spots will be extended to a full 30min. WOW what a huge difference that will make, get ready for the huge crowds at the market. Wouldn't it be good to no what they really want to do. Nah can't do that, that would be giving away the big secrets. " A mixed reaction to the new sculpture at the top of String Bean Alley but we give the final word to trader Hugh - "As long as it bears fruit it is OK"
That would be fruit in the form of customers, eh Hugh? Sophisticated loyalty programs have become the rage as retailers try to engage their customers and get the edge on their competitors but, as Coles found, they don’t always succeed. The Coles My5 program has been abandoned as being “too complicated” according to commentators. The program was linked to FlyBuys and allowed customers to choose their specials. A 10% discount was offered on five products of a customer’s choice as long as they spent $50 in the one transaction. Signing up was just too complicated and customers soon lost sight of what they were signing up for. The lesson on loyalty programs? – keep it simple. Social media is definitely the buzz in customer communication and setting up a Facebook page is not only easy, it’s free. Facebook lets you communicate regularly with your customers and updating can be done easily from a smart phone, anywhere, anytime. Did we say it was free? It was back in July that a large group of traders met with MCC representatives, CEO Kathy Alexander, Director City Design Rob Adams and the Chair of the QVM Board, Paul Guerra to discuss the future of our market. That started a sequence of meetings with traders to determine the issues that needed to be addressed. Many issues were raised, including lease arrangements, stall repetition, rents, trading hours, and tourism promotion. It is now time for the first feedback meeting from the Board and MCC and that will take place on Thursday afternoon, 25th October, 3:30-5:30, at the Jasper Hotel in Elizabeth St., just a few doors down from the market office. It is recommended that all traders attend. 1. Ikea reduces prices by up to 50% due online competition. 2. PayPal introduces "Buy now - Pay later" for your customers but you get paid now. 3. ACCC accuses Hewlett Packard of misrepresenting warranty conditions on consumer electronics. 4. First federal Small Business Commissioner urges SME's to work smarter rather than harder. 5. Wesfarmers considers financial prospect of selling 25 shopping centres it owns. 6. Federal Government cuts back on small business support as it chases surplus. 7. Ibisworld reports online furniture sales growing at 12% p.a. 8. Online grocery site, Grocery Run, reports 15,000 orders per week. 9. Ikea plans to double its number of Australian stores to 11. 10. Jenny Craig launches its first in-store store at Target Doncaster. 11. New motor vehicle sales increase 4.7% in September giving some hope for Christmas sales. 12. Supercheap guarantees credit to “Club Plus” customers if price reduced within 2 weeks of original purchase. 13. Aldi launches in-store re-cycling for household batteries. 14. Quicksilver to launch online store with Ebay’s Fashion Mall. 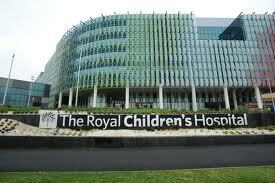 There are many worthwhile charity causes but leukemia patients at the Royal Children’s Hospital and a connection with a QVM trader, encourages us to seek your assistance for this one. L.A.R.C.H is an organisation holding a charity auction night next week to raise funds. 100% of funds raised at this event will be used to support research into the treatment of Childhood Cancer at the Royal Children's Hospital in Melbourne. Traders are asked to donate products that can be auctioned on the night. Suitable products can be given to Joe Stolarek, shop 4, in F shed. Please liaise with Joe and please do it as soon as possible. We should have posted this item at the beginning of the week – sorry Joe! This is a good cause – let’s get behind it. Trader Excites Customers with Simple Technology. We ran out of business cards this week. We probably get 5 or 6 requests per trading day for a business card and we print our own so there is no real excuse for running out but we got an interesting customer reaction to the alternative option we offered. We told our customers - "Sorry we've run out of cards. Can we send you a digital card?" Of the six customers who asked for a card on Saturday, five agreed to give their email address and we sent them a card on the spot from a smart phone. Four of the five were visibly impressed with our use of technology and one actually waited at the stall for the email to come through to their phone. 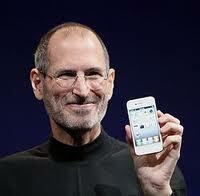 (Did you know 52% of Australian mobile phone users have smart phones?) . Basically a digital business card contains the information you would put on a normal printed card but you design it on a smart phone or a computer and distribute it via the same technology. 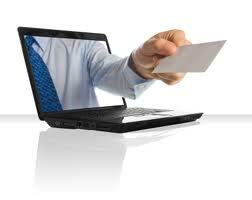 Digital business cards have three big advantages over standard business cards. 1. They are clickable - your customer just clicks on your phone number, email address, or website address to be immediately connected. 2. 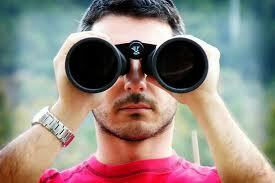 They are easily filed - your customer can enter your details in their address book with one click. 3. Your customer gives you their email address for later contact. We used the iPhone app "The Card" for our customer exchange but there are many similar options. 1. The Melbourne Festival (of Art, Drama, Dance, Music) continues until 27th October. 2. The Spring Racing Carnival continues this weekend with the Caulfield Cup on Saturday. 3. Melbourne Victory v Adelaide United at Etihad Stadium tonight. 4. Round The Bay Bike Ride on Sunday from Alexandria Gardens. In a recent comment to one of our posts, a trader wished for the same number of public holidays as city office workers so that more time could be spent with family. A seemingly contrary view was recently indicated by Boost Juice founder, Janine Allis, who said - "Understanding that there is a time in your business life that to be successful you need to throw the idea of "work-life balance" out the window and commit everything to the success of your venture." Traders sacrifice many "creature comforts" to operate their businesses at the QVM. We start our working day very early, we have to actually physically set up our shops each morning, and, although most of us have a roof over our heads, there are days, both hot and cold, when Mother Nature severely impacts on our comfort. In addition, we are slaves to public demand and work most weekends and public holidays. This is particularly applicable to General Merchandise Traders who largely service tourists on holiday. All this doesn't mean that family life has to be neglected, although it certainly does have to be re-arranged. Let's face it, like most office workers we actually work 5 days per week so there is time for family life even if the timing can be a little inconvenient. There are hundreds of examples of successful family stories at QVM. One distinction is important here. We are not workers. We are small business entrepreneurs who sacrifice "creature comforts" for the benefits that come with the independence of operating our own business's including freedom of choice and the opportunity to make our fortune ( I know, "fortune" seems a little distant at present). The point is that you can't have the entrepreneurial freedom and a normal office worker's lifestyle at the same time, at least not in retail. If you want both, you are probably in the wrong industry. As banks tighten up on lending, particularly, it seems, to small business, an alternative source of funding is gaining popularity around the world. Crowd funding can be used in a wide variety of activities but in business it refers to the granting of a small amount of equity to many investors. Specific acts of parliament have been enacted in places like the US just to control this growing form of funding. The concept has become so popular that businesses have been set up just to link borrowers and lenders in suitable projects. Startup enterprises are the most likely vehicle for funding although that hasn't stopped established business's from launching new concepts via crowd funding. So, lets translate this to QVM traders seeking funding for a new stall concept by offering equity to fellow traders who, after all, have a good understanding of what it takes to succeed at market trading - just a thought. London’s famous Borough Market is undergoing a transformation as construction works to accommodate a new rail viaduct get underway. The Borough Market has been in the news for all the wrong reasons over the last 12 months as traders succumb to the global retail downturn and criticise the market’s custodians for embarking on “corporate” improvements to a traditional market. Disaffection by some senior traders has resulted in them moving to a nearby alternative market. It is hoped that all that turmoil will be put behind the market as it prepares to re-open in an updated structure including the glasshouse frontage shown in our photo. A contender in this month’s Melbourne City Council elections is Nick Parisi, owner and operator of Parisi Foods on Queen St (next to Mercat Cross Hotel). Parisi Foods are retailers and wholesalers of food items including nuts and dried fruit. Traders with council voting rights might like to check out Nick as a candidate. 1. Spring racing carnival continues with Caulfield Guinea’s this weekend. 2. 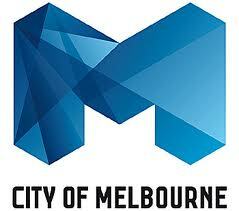 Melbourne Festival (art, music, theatre, dance) commenced 11/10/2012. 1. Australia is now the world’s 12th largest economy. 2. Australian stocks hit 14 month high. 3. Mobile Internet downloads surge as 52% of mobile users switch to smartphones. 4. 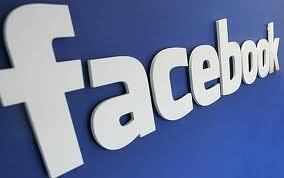 Facebook launches new ecommerce function allowing customers to set up digital catalogues. 5. Battery World wins Excellence In Franchising awards. 6. Unemployment rises from 5.1% to 5.4% in September. 7. IbisWorld predicts bleak outlook for tobacconists and confectionary retailers. 8. Australian online retailer, Surfstitch, opens 8,000 sq.m. distribution centre in France. 9. ACCC accuses Flight Centre of trying to force price control with major airlines. 10. Sydney’s Queen Victoria Building has taken out Gold in 2012 Asia Pacific Shopping Centre Awards. 11. Lingerie retailer, Victoria’s Secret, opens 4th Australian store at Melbourne Airport. 12. Westpac reports consumer sentiment on the rise but still in negative territory. 13. Billabong takeover candidate withdraws offer. 14. Priceline opens first e-commerce website with 10,000 products on offer. 15. Retailer, Mothercare, to be rescued as Myer inject funds and take over management. 16. Australia Post to spend $2 billion to upgrade parcel network and offer free digital mail boxes. 17. Crazy Clark's, Go-Lo, Sam's Warehouse group tells suppliers to stop deliveries. 18. Emirates Airlines fined $10 million for price fixing. 19. Online advertising accounts for 3.7% of US GDP in 2011. 20. China overtakes UK as 2nd biggest tourist supplier for Australia. Steve Jobs died 12 months ago but his visionary approach to life continues to influence budding entrepreneurs (or entrepreneurs looking for re-invigoration) through a library of quotable quotes. We would like to recall some of those over the next few weeks. One of the things I like about my website is that transactions are clean and simple without that tiresome bargaining that goes on at my market stall. But that may all change if Amazon has its way. Amazon is that incredibly successful website that sells just about anything and often at the cheapest price available. They have just patented a method of online haggling that will attempt to mirror a face to face exchange. The system allows buyers and sellers to make offers and counter-offers until a deal is reached or abandoned. To keep things in line a points system measures how each participant conducts themselves, so as to avoid things like false claims from suppliers and time-wasting from buyers. The idea is only at patent stage but would add a new dimension to online buying if introduced. The Melbourne Leader has posted an article about QVM plans including a statement from Lord Mayoral hopeful, councillor Gary Singer. - The Gary Singer and John So Jr team say the market is in an excellent location to become an "all-day and evening business and cultural activity centre". 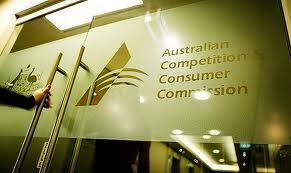 ACCC Investigation Could Help Traders. The ACCC has been very active in retail price maintenance issues recently and at least one area of their investigations could make it easier for QVM Traders to obtain product ranges that were previously out of bounds. 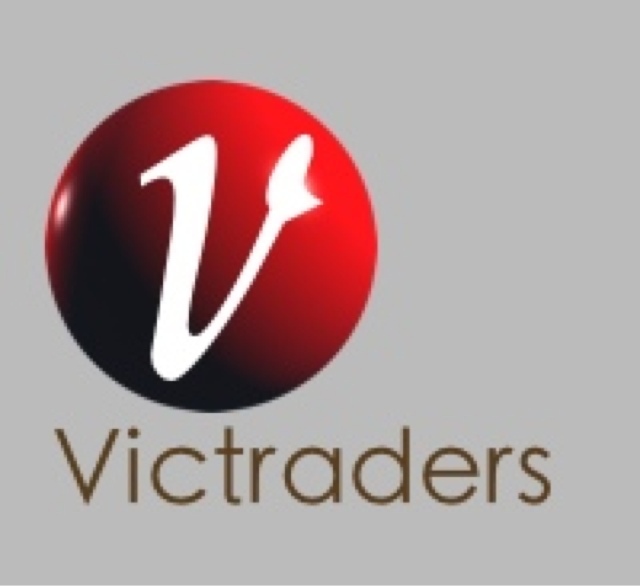 Over recent years traders have complained about the refusal of some key suppliers to sell stock to market traders. Apparently the suppliers have been concerned about backlash from their other retailers if market traders undercut the retail price. This problem has been mentioned as one of the reasons for our clothing traders selling essentially similar ranges. Traders claim they would be happy to sell more mainstream brands, if suppliers would supply. The problem has been the subject of discussion at QVM management level and a solution has not been identified, but maybe the ACCC is going to assist us. Recent investigations and court action by the ACCC have focused on price maintenance and the refusal of some suppliers to provide goods to cut price online operators. To quote an ACCC representative - “We do have investigations underway. We’re looking at online businesses that are being held back through a variety of means, not just price maintenance but also refusal to supply." We believe this action by the ACCC could have implications for QVM traders. If you have contemplated approaching a supplier but have been concerned about being refused as a "cut price" retailer, now might be the time to approach them again. The Government is obviously keen to stamp out any practice that limits a retailer’s right to buy and sell in a free market. If you do experience such a refusal, it looks like the ACCC would like to know about it. The Alan Jones debate has moved from making inappropriate public comments to the rights of consumers to influence corporate direction. Alan Jones' radio station has withdrawn all advertising from his show as listeners vent their anger direct with the advertising companies. Jones’ complaints of what he calls "cyber bullying" by listeners could just be part of the "new consumerism" we often mention on this website. Consumers have their own broadcasting voice thanks to social media and they are not afraid to use it. At QVM we get our fair share of social media comment and fortunately it is generally favorable. But that is not always the case and you only need to see exchanges like the current QVM T-shirt debate on Yahoo Answers (http://answers.yahoo.com/question/index?qid=20121005013001AAr1HW6 ) to see that the public is not shy about expressing its views online. Is the Alan Jones case an example of "cyber bullying" or just a righteous public bringing an outspoken "shock jock" to account? One thing is for sure, we cannot ignore the influence of social media, or any online news source, if we are concerned about public perceptions and our trading reputation. 12/10/2012 22:59:44 "I kinda agree a bit with them in yahoo as I said in the last meeting management need to do a bit of quality control I think as some of the products are giving us a bad name. The image needs to be revamped as a place where you can buy good quality merchandise at a cheap price." Just Don't Make The Alan Jones Mistake. Social Media Does Not Lead To Sales.